Continuing from my previous post about the orders issued by the Romanian Authority in Odessa regarding the treatment of the Jewish population and the creation of a Jewish Ghetto. The source is in the National Archives of Ukraine, translation mine. Order number 2 from November 15, 1941 by the Commander of the Odessa Garrison General N. Gineraru directing all persons of Jewish origin to declare possession of precious objects, gems and metals to the city police by 12pm on November 19th. “Odessa newspaper .- November 17, 1941 – № 28. – P. 2. § 1. All persons of Jewish origin living in Odessa are mandated by 12pm on Nov. 19, 1941 to declare all their precious things, stones and metals (platinum, gold, silver) -in any form: jewelry, coins, household items, etc. The Jews living in the areas of Odessa, Ovidiopol, Ochakiv and Berezovsky regions are required to submit their declarations within 48 hours after the publication of this order. Statements in duplicate must be submitted to the City Police (in rural communities to the local authority). One copy of the application remains with the Police, the other – stamped by the city police or rural authority – is returned to the applicant. § 2. Those guilty of violating this order will be punished by death. § 3. This order is to be published in Romanian, German and Russian languages in Odessa, Ovidiopol, Ochakiv, Berezovka and enters in force in Odessa on November 16 of this year, and in Odessa, Ovidiopol, Ochakiv, Berezovsky regions, on the date of publication. Commander of the Odessa General N. GINERARU. “Odessa newspaper .- November 20, 1941 – № 9. – S. 2. Brought to the attention of the Jewish population that the orders – as published so far, and those to be issued in the future – apply to all categories of Jews, without exception. 1) All those who have one Jewish ancestor through male or female line. This includes all those who profess the Jewish religion, and Jews of different sects, Christian Jews (Orthodox, Catholics, Protestants), regardless of when they converted to these religions, and finally, those Jews who do not profess any religion. 2) Jewish women who belonged to or are married to persons of any other religion or nationality, whether a marriage is certified by the civil authorities, church bodies, or any other bodies in accordance with local laws. 3) All orders relating to the Jews, are binding not only for the Jews of Soviet citizenship, but for all Jews, regardless of their nationality. 4) Orders relating to persons of Jewish origin, are valid throughout the occupied territory. Communication of the Central Commission for the evacuation of the Jews on the order and rules of staying in the ghetto. “Odessa newspaper .- January 14, 1942 – № 26. – S. 4. 1.All the Jews who are in the ghetto, do not have the right to leave their homes until 12pm. 2. Jews found on the streets before 12 pm, will be detained, taken to the office for the registration and sent out to the assembly points for evacuation, and they will not be allowed to return home in the ghetto to get their families. 3. Market in the ghetto is to be opened at 12:30pm. Those guilty of trading in the market earlier than this hour will be arrested and taken to the Prefecture of Police. 4. Owners of homes in the ghetto are prohibited for harboring Jews who stay in their homes. Homeowners are required to declare the whereabouts of Jews during the raids, which will be conducted. Those guilty of harboring Jews will be brought to the Prefecture of Police, and brought to court-martial in accordance with existing orders. Announcement of the Romanian military command about the penalties to the Christian population for harboring Jews. Brought to the attention of the entire Christian population of the city of Odessa, that all citizens are obligated to inform the military command in writing or verbally on all Jews who strayed from the evacuation and who live under an assumed name, or hiding with someone in the city. Also be reminded of the order number 7, which provides for punishment for those who know about the hidden Jews, and do not report it. Order № 7 of 10 January 1942 by the army and the garrison of Odessa commander General Tiberiu Petrescu and inspector of the Military Prosecutor’s Office, military lawyer Lieutenant-Colonel Cyril Soltani regarding internment of Jews in Odessa and surrounding areas, starting at 8 am on Jan. 10, 1942, in the ghetto at Slobodka, and surrendering of their apartments and property to the authorities. “Odessa newspaper”. – January 12, 1942 – № 25. – P. 4 ..
Art. 1. Without exception, all the Jews in the territory of Odessa and its surroundings, to be interned in the ghetto at Slobodka where they must report within 2 days from January 10, 1942, starting at 8 o’clock in the morning. food supplies they have on hand, clothing and only the essential items, as well as the tools they need for professional work, valuables and money they posses or accepted for storage; necessary hygiene items and medications. Jews are forbidden to take with them into the ghetto: furniture, flammable or explosive materials that could serve as a means of arson or as explosives. Art. 3. Before heading into the ghetto, Jews are obligated to surrender to the authorities their dwellings or apartments with all remaining property, making an inventory in duplicate, one of the copies is to remain with the Jew, and the other with the person who is receiving property from a Jew, an inventory is to be signed by both the Jew and the receiving party. Inventory must be handed to the authorities when requested, and it shall be filled out as follows: name of the Jew and the person receiving the property, street, house number and apartment occupied by a Jew headed to the ghetto. Art. 4. 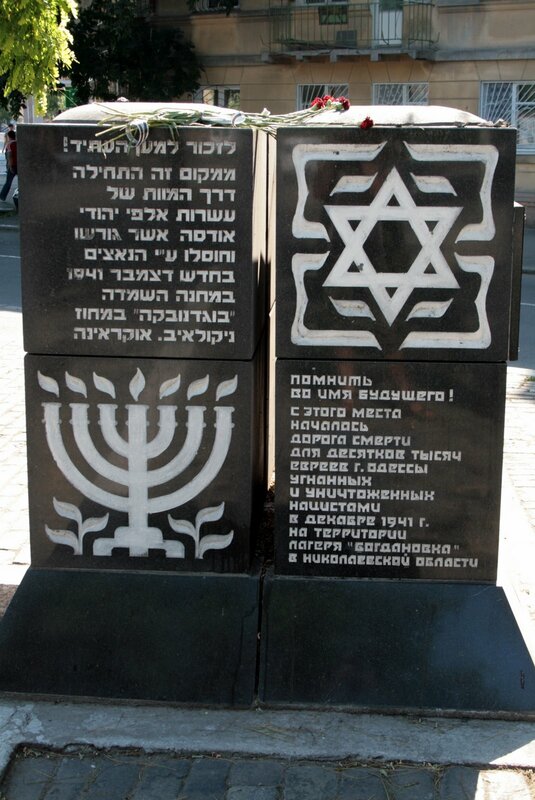 Caretakers of buildings, as well as every citizen who knows of any Jews who are did not report to the police station or did not appear in the ghetto during the aforementioned period, or a Jew, who, under false papers, is hiding his Jewish background (changing the name, nationality or religion) – must immediately inform in writing the district police station (table of Military Justice), indicating a place where a Jew is hiding. Art. 6. Persons who shelter, house in their apartments or in any other way help the Jews in the evasion of internment in the ghetto, or know about cases under Art. 4 and do not report them to the authorities, will be punished by penal servitude of 5-10 years. Art. 7. Jews who violate the article will be punished by penal servitude of 5-10 years, and in case of fires or explosions the guilty will face the death penalty. Art. 8. All persons accepting, according to Art. 3, buildings, apartments, furniture, and all other assets remaining after the Jews interned to the ghetto, are obligated to ensure the preservation of the property and are responsible to the authorities for any damage or theft of property that occurred with their consent or against their consent. Art. 9. Investigating violations of this order is the responsibility of police and military authorities, who will fill out the report to be sent along with the guilty in a court-martial. Art. 10. This order is published in Romanian, German and Russian, published by pasting in the streets, civil and private institutions, and comes into effect from the date of its publication and pasting. Army Commander and the Garrison of Odessa General Tiberiu PETRESKI. 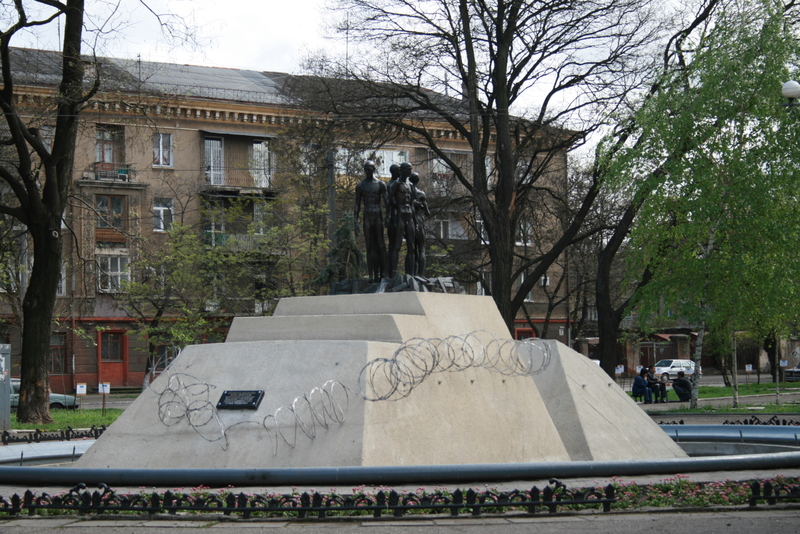 Monument to the victims of Holocaust in Odessa. Further reading: 1941 Odessa Massacre.